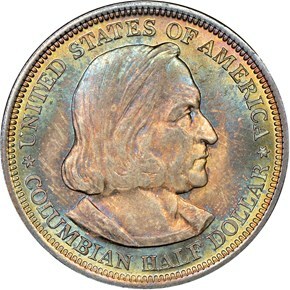 The 1892 and 1893 Columbian half dollars were the first commemorative coins issued by the United States. 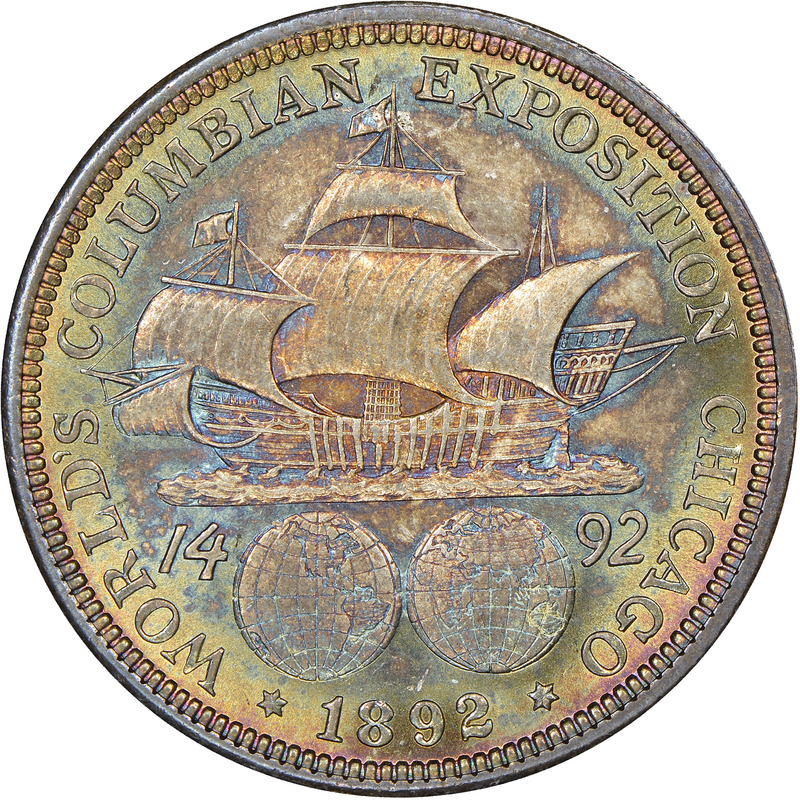 They were coined to commemorate the World's Columbian Exposition in Chicago. This event, also known as the Chicago World's Fair, was to be held in 1892. 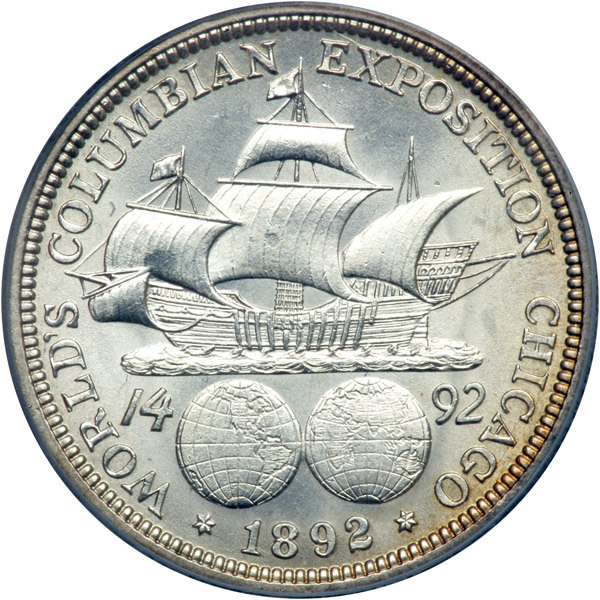 With the cost of the fair ballooning, an enterprising manager of the expo suggested that souvenir half dollars be produced and sold for $1 each to help cover the cost of the exposition. 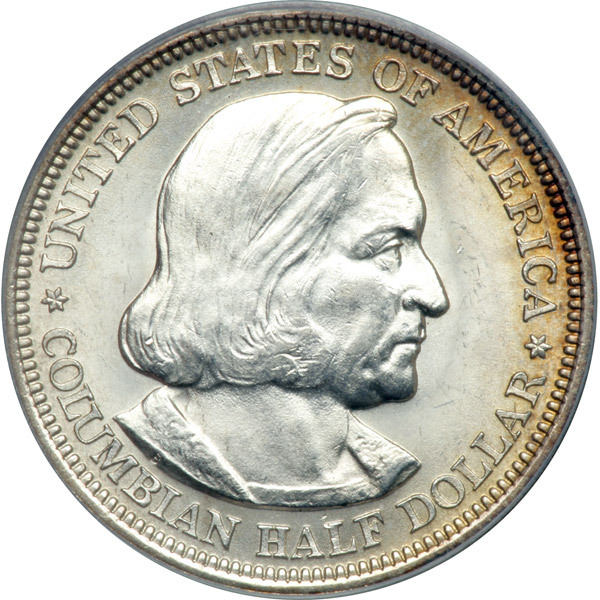 The bill to produce the coin was passed on August 5th of 1892 and called for the mintage of no more than 5 million half dollar coins. 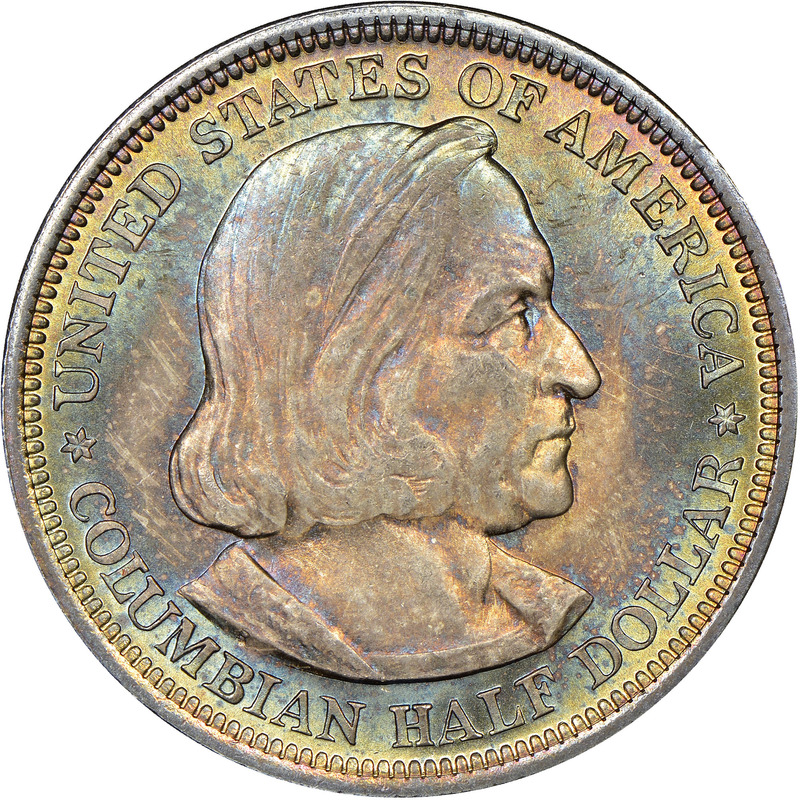 The striking of these coins began with special proof issues on November 19th of 1892 to national fanfare. So great was the fervor that the company that produced the Remington typewriter paid an astounding $10,000 for the first coin struck, an amount equal to nearly a quarter of a million dollars today! However, these coins are not usually worth nearly that much today aside from the few survivors in very high grade. 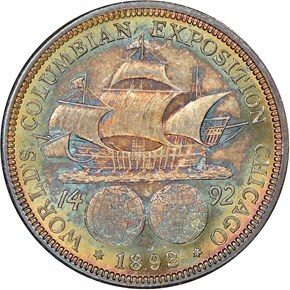 With a mintage of 950,000 in 1892 and a further 1,550,405 produced in 1893, the Columbian Exposition Half Dollar is the most common type of the entire classic commemorative series.